All children are musical - forget the idea of the talented/gifted “few” and the rest of us listeners. All children can learn to sing in tune and move with accurate rhythm. 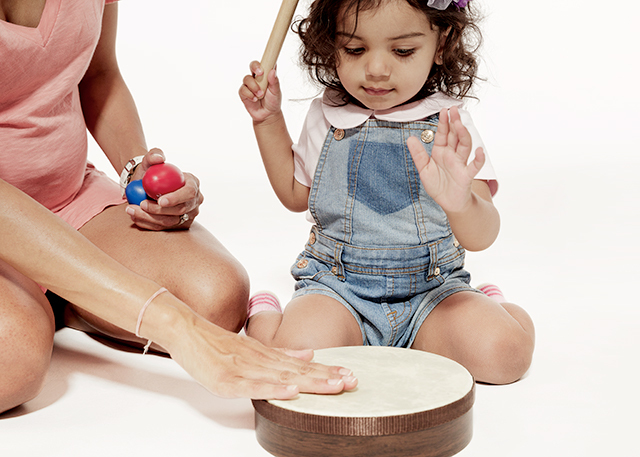 Children learn music (like all things they learn) through the modeling of parents and other loved caregivers. Music learning for children happens best in a playful, musically rich environment. A performance orientation comes later. Click above to learn more about the Music Together philosophy! What's new? Spring session starts 4/8/19 - Registration is open until end of April. See facebook page for more details. 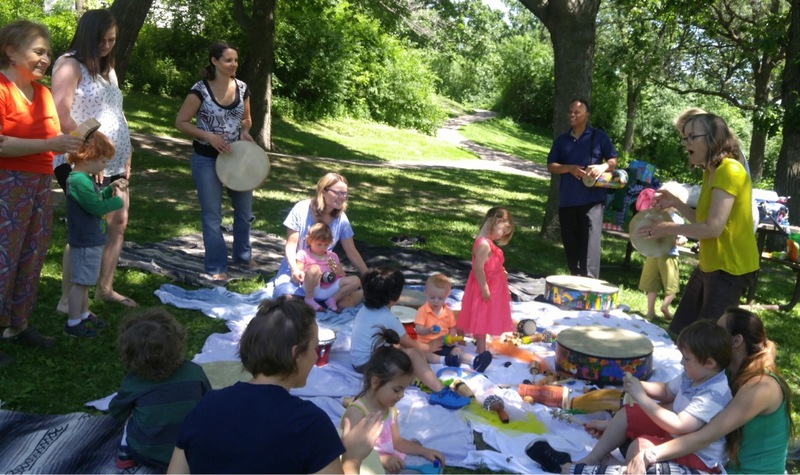 Parent Child classes will feature the collection "Tambourine." Rhythm Kids will introduce "Toucan." Canta y Baila Conmigo continues with a brand new collection: "El Cascabel." Canta y Baila Conmigo es un programa único que combina la educación musical infantil con inmersión de lenguaje. Para niños de 0 a 6 años. En la próxima página, busca el horario de las clases. 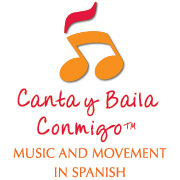 Canta y Baila Conmigo is an innovative Spanish immersion music class (kids 0-6) equally emphasizing Music AND Language/culture learning. See next page for class locations and schedules. Want to teach Canta y Baila Conmigo? Trainings will be offered around the country and in Twin Cities. See this link or contact us. Classes are both highly structured AND extremely flexible. A typical Mixed Age Music Together® class is consciously planned and choreographed, with a mixture of up, down, small and large movement experiences incorporating a wide variety of musical styles, instruments, rhythms, key signatures and tonalities to give children a comprehensive exposure to music’s essential building blocks. Yet the class will veer off and adapt when any interest, curiosity or suggestion of a budding musician occurs as a way to stay true to the playful and creative process that music exploration involves. You might say we have our “set list” but are always ready to improvise and riff on something that emerges from the children — indeed we consciously plan to encourage spontaneity and new ideas within our set structure. Our Music Together® classes try to create the feel of a large, extended family group making music in the living room. You might imagine that some people would be singing along, others dancing and moving, others listening and tapping their feet, others might be doing other things (sewing or reading,) but very aware of the group and listening to the music. So it will be with your children. Some of them, because of who they are as individuals and the experiences they've had in their young lives, will sit and watch, others will move some part of their body, some will joyfully wander off, some will sit curled up in your lap, others will lay down and kick their feet, some will sing, coo, yell or very consciously decide NOT to sing. All of this is fine, normal and part of what we expect. With time, the music enters into the child and the child begins to respond. Children with special needs are welcome in all classes. Indeed many children with special needs find music particularly engaging and respond positively to the class’ informal set up. Let your teacher know if you have any questions or concerns. Originally from New York, she grew up in a family that sang a lot and she credits her parents’ car singing (frequently in harmony) with instilling a deep connection with music. She studied dance as a young person and believes that music and movement are two inseparable siblings! She participated in musical theater in high school and college and continues to dabble in community theater locally. She studied voice and music theory in college, though graduated with a degree in Latin American Studies. With a Masters of Education in Early Childhood, Frances has worked at the University of Minnesota’s Early childhood program as a teacher, a mentor to student teachers and a University instructor. Her work with children and families is grounded in a strong understanding of the many things children need to learn. Making music together is powerful! Come and share a free class with us. Let us know you are coming by sending an email to: francesdurkin@gmail. Classes may be started anytime through May 15. You may always attend the first class free to see if the music and schedule fit with your family. Copyright 2017 Purple Crayon Lab Music Together. All rights reserved. Copyright © 2019 Purple Crayon Lab. Powered by WordPress. Theme: Spacious by ThemeGrill.